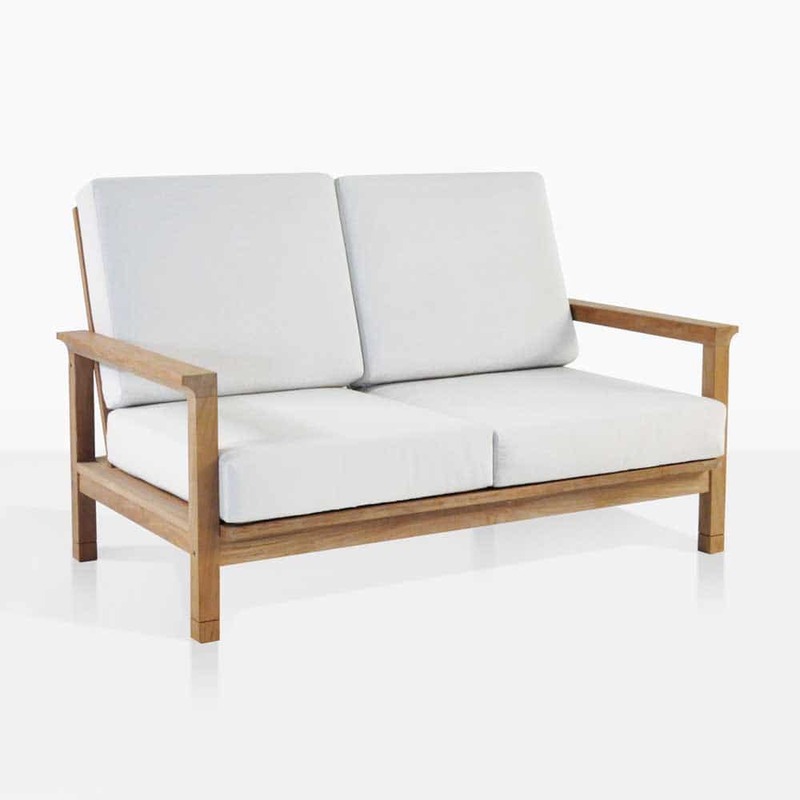 Relish in the prosperity of your surroundings in the perfectly proportioned St. Tropez Teak Loveseat. 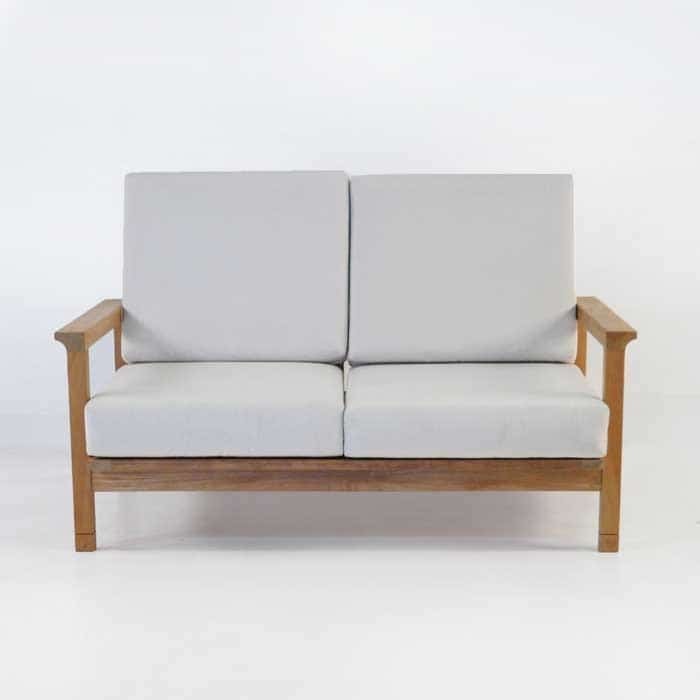 This 2-seater loveseat remains a go-to piece at Design Warehouse; namely because of its chic simplicity. 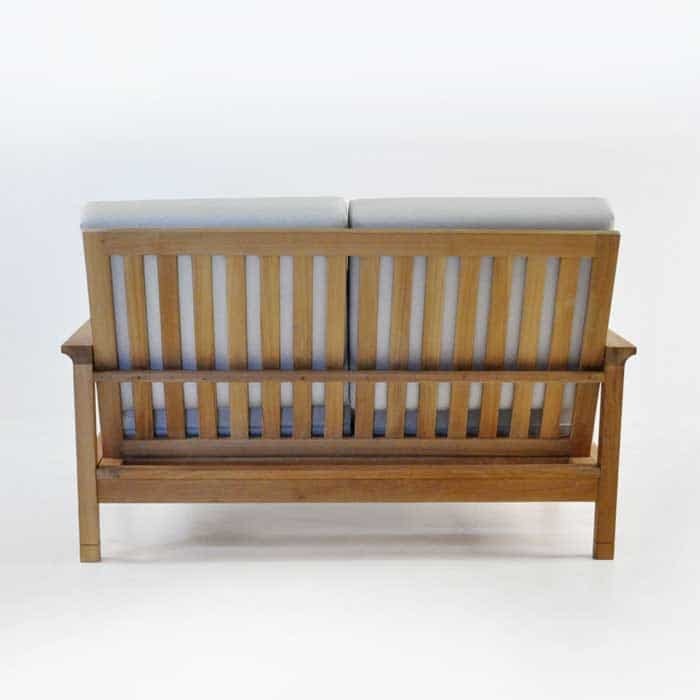 Whether you have a Mediterranean style home, or perhaps it’s modern, or a villa; this piece will fit in perfectly! Our St. Tropez Collection is inspired by the rich culture and simple structures in St. Tropez, France. Its features include a seemingly light looking frame, gloriously angled back, slight wing flare on the arms and a subtle carved design on the legs. It is these little details that make up an ultimately chichi and comfortable collection. The St. Tropez 2-seater Loveseat is generously proportioned, you will want to lean back and relax for hours and hours! Perhaps dreaming of being in the South of France, enjoying the Mediterranean atmosphere. 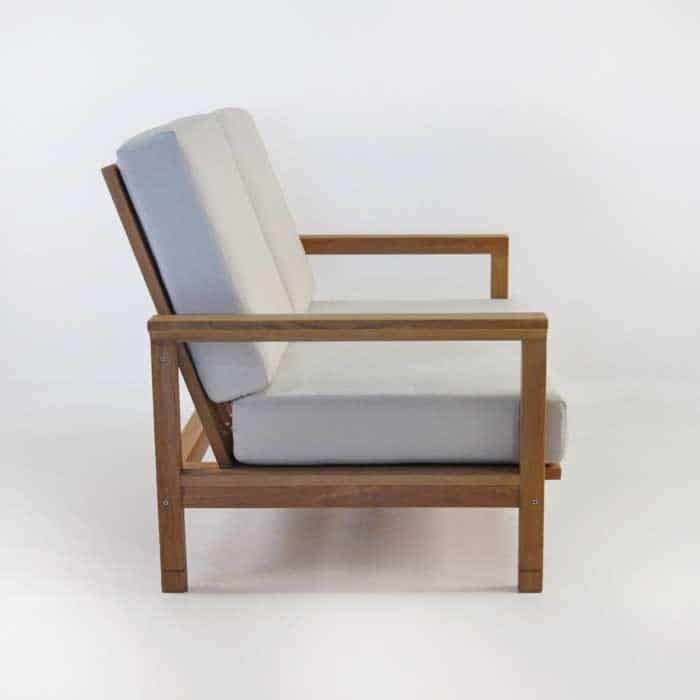 Try two St. Tropez Loveseats with two St. Tropez Club Chairs, throwing in a St. Tropez Ottoman for good measure; to create a space perfect for hosting friends in the comfort of your own home. 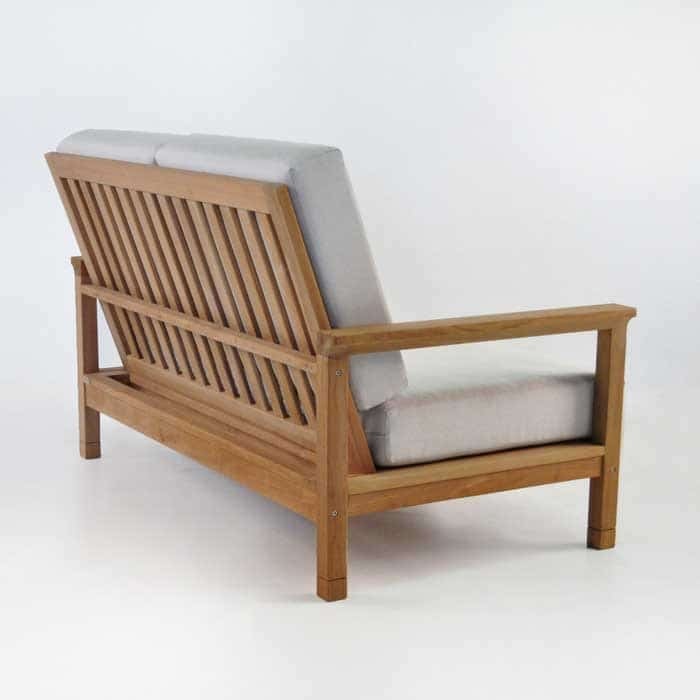 This piece is made with the gorgeous Grade A Teak, marine grade fixings, and Sunbrella® fabric with the resilient Quick Dry Foam so you will enjoy it for years upon years to come! Comes with FREE Sunbrella® cushions!